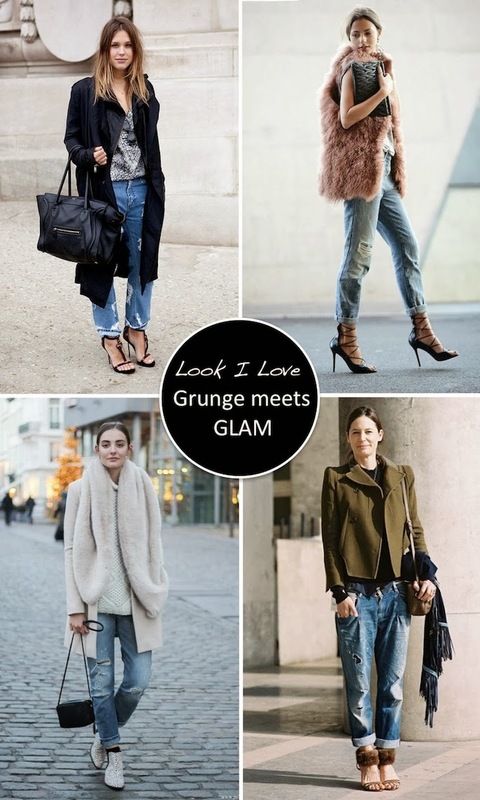 Grunge Meets Glam or should I have said Glam Meets Grunge? Or, maybe I should have just made it easy and titled this post Dressed-up Boyfriend Jeans. Regardless, I'm seriously loving boyfriend jeans styled up with a touch of glamour. Boyfriend jeans are an effortless way to be comfortable yet trendy at the same time. I fell in love with my first pair over the summer and have since looked for any excuse to wear them. At the moment, my favorite way to see distressed jeans styled is when they are juxtaposed with a more glamorous item or two. To take your boyfriend jeans to the glam level think (faux) fur, feminine handbags, a touch of bling and fabulous heels. More glamorous boyfriend jean styling after the jump! We can always count on the Man Repeller to mix and match styles perfectly. Just look at that army jacket! You have a pink fur vest?! I'm jealous.. I LOVE the one with the vest, so chic! Gahhh what a gorgeous post! I love dressing up bf jeans with some fierce heels, but a faux fur vest! Amazing! I will always be a fan of the look with the fur vest.....so glam! Love your post! Current Elliott was my first pair of distressed boyfriend jeans too. 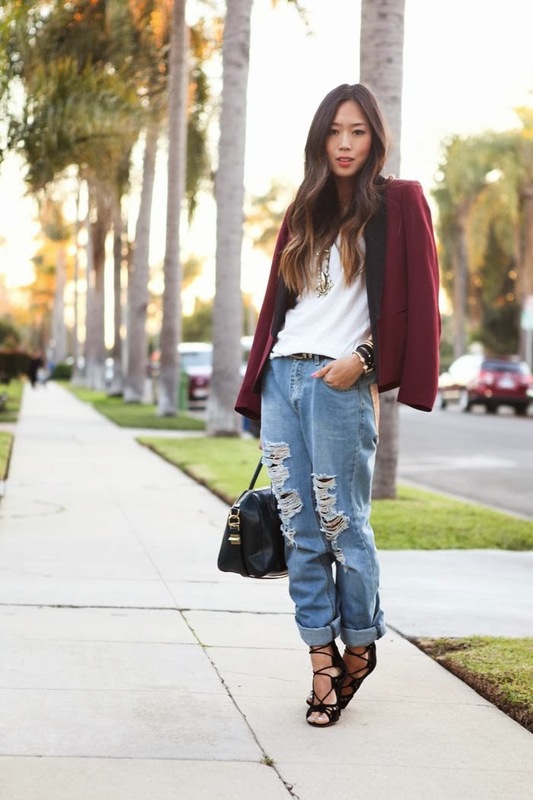 I really like this look–I need to get myself a new pair of distressed jeans! Oh God!!! I adore this style!!! I love these styles, look so stylish. I have not wear these jeans yet, if I wear it, I don't know how to choose my jacket, I don't think it suits me well. But your photos gives me an new idea, thanks. I am a fan of this style. Good post, I love to read your posts. Love all these trendy styles.